Grocery stores are becoming savvier with technology, especially with baby boomers getting older and experiencing a shift in their needs. 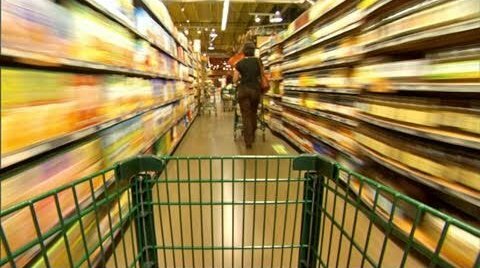 This means grocery stores need to enable ordering online for customers that are not able to come into the store and shop for themselves. This is a great reason for grocery stores to create a point of sale solution with i95Dev’s best point of sale system, Magento Commerce integration with Microsoft Dynamics RMS. With Magento, point of sale is customized for the store itself and not created with a cookie-cutter set-up. No two grocery stores run the same way so for them to be required to have the same set up is ridiculous. Even with a chain store, multi-store operations using RMS becomes easier. Creating an easy way for your older customers to order their groceries and pay for them online is a great way to gain and retain customers that want convenience in their lives. Not only is this true for older customers but also for customers that are way too busy to go grocery shopping but want to be able to go home and have food available to eat. Magento Commerce integration with Microsoft dynamics RMS makes it possible for the grocery store to create one interface for both their cashiers at the cash register and customers online to order things in stock. Stocking up on items for customers is not the most difficult task for stores; it is creating a friendly, comfortable atmosphere for everybody. This means the data transition should be flawless. Nothing is worse than having data fall 2 or 3 hours behind and customers wanting something that is entirely out of stock. Not only that, but when a customer puts in an order, it makes it easy for a sales associate to go out and gather the items and inform the customer that everything is being delivered or inform the customer that particular things were out of stock and make suggestions about what to replace those items with. So the first time you’re able to check out a customer online, thank i95Dev! Magento Commerce integration with Microsoft dynamics RMS is what makes that a possibility.